Marketing teams are increasingly interested in leveraging branded chatbots, but most struggle to deliver business value. My recently published report, Case Study: Take A Focused And Disciplined Approach To Drive Chatbot Success, shows how OCBC Bank in Singapore is bucking the trend: The bank recently created Emma, a chatbot focused on home loan leads, which successfully facilitated S$33 million worth of home loan leads in six months. Forming an effective chatbot team with internal and external partners. OCBC’s home loan department assembled a small team comprising a chatbot trainer and a home loan subject-matter expert. Open Vault, OCBC’s fintech innovation center, helped select technology vendor CogniCor as the best match for OCBC’s needs. They are the three key stakeholders in the chatbot initiative. Being focused in the planning stage. The home loan department and CogniCor spent three months planning, developing, and testing the Emma home loan chatbot. This period was necessary to ensure that Emma’s launch, planned for January 2017, would be successful. Staying disciplined in the execution stage. 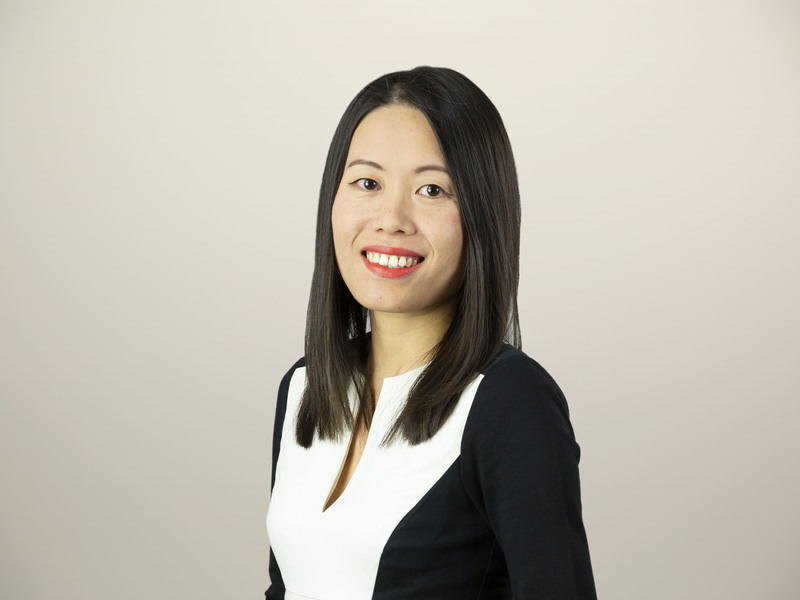 Emma’s owner, the OCBC Bank home loan team, worked closely with internal and external partners to ensure that the execution went well. They invested in vendor training to align with business demands and tested aggressively to ensure Emma ran well (see figure). 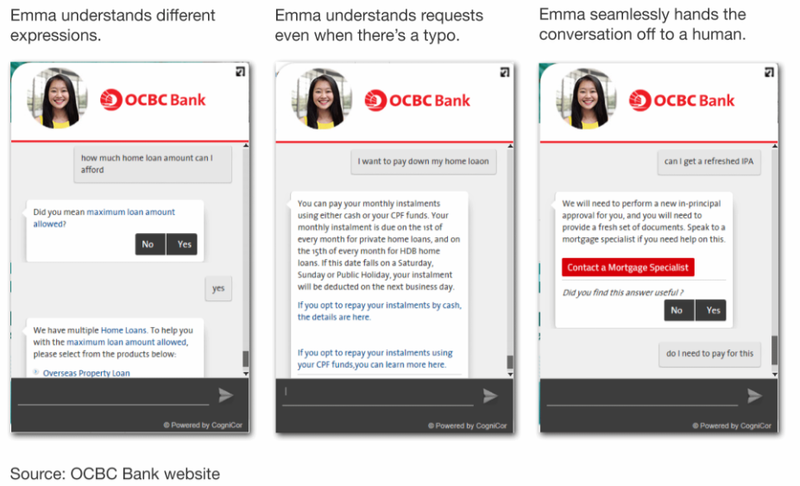 Emma has become increasingly popular among OCBC customers since its launch in January 2017; traffic to the chatbot tripled between January and April. Emma has demonstrated both business and customer value, and OCBC will expand upon this success in other areas of the bank. To learn more details about OCBC’s successful approach and the positive outcomes of Emma, read the full report.